This slatwall shelving is excellent for merchandising bulk products, packaged goods or clothing! A 1-inch lip keeps your product safely on the shelf without affecting visibility. 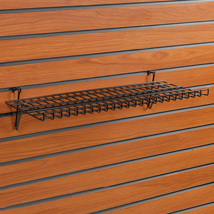 This slatwall shelving can be used on Grid, Slatgrid, Slatwall or Pegboard. 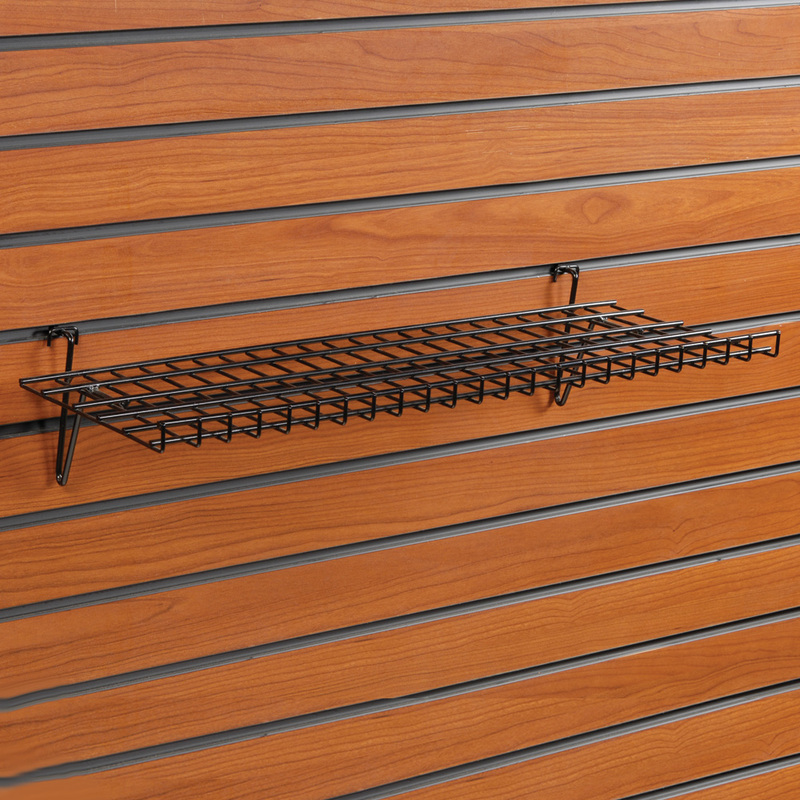 For many more options, we encourage you to take the time to peruse our extensive variety of slatwall shelving at Specialty Store Services today.